I am asking this here, because only the Science Fiction & Fantasy site seems to be affected. The other stacks I am active on are behaving normally. Is anyone else experiencing this? And does anyone know what is going on? It probably made more sense when they showed how many items were in each stack. Also, this behavior is similar to how the reputation dropdown works. Not the answer you're looking for? 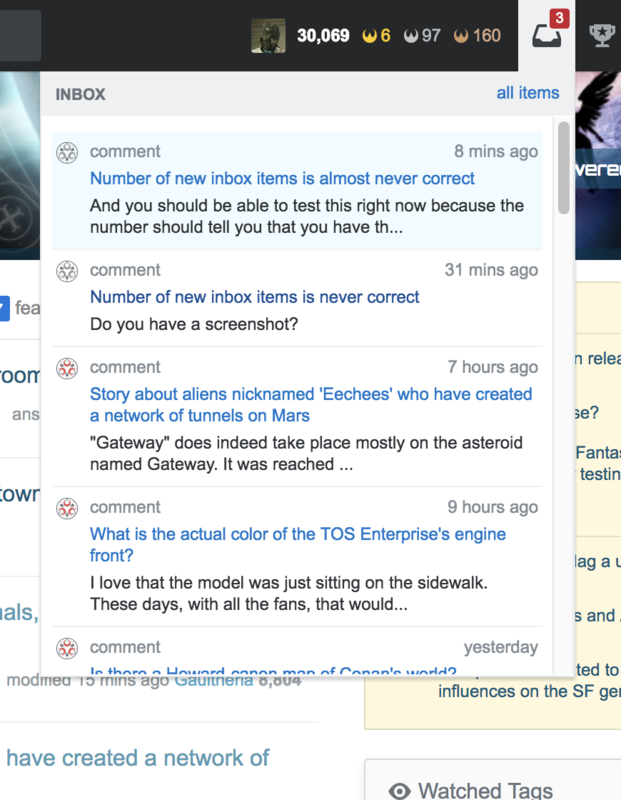 Browse other questions tagged bug notifications . Can we change the font of the “new responses” in meta.scifi so that it is readable? Why doesn't my profile show up with the new format on this site?